Author TristanPublished on September 3, 2018 September 3, 2018 Leave a comment on Great Darts! The Reptile Section is, somewhat confusingly, also home to amphibians such as these stunning locally-bred dart frogs. 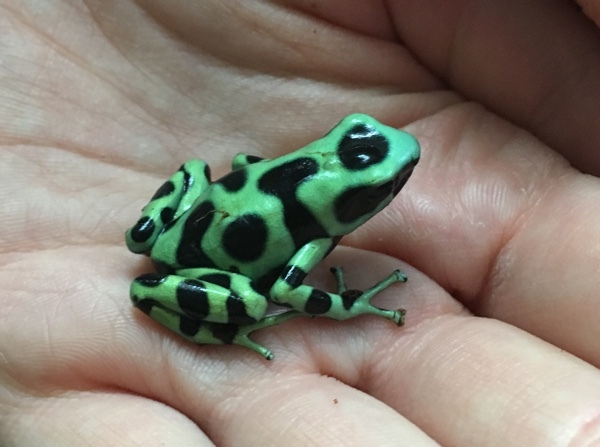 Native to Central America we have two colour morphs of Dendrobates auratus available. These little chaps that achieve only a few centimetres in body length have been born and raised in exactly the kinds of vivariums available to our customers; 45cm x 45cm x 45cm Exo Terra all-glass models that are planted with some natural live plants such as bromeliads and Ficus spp. Unfortunately, they are rather....hoppy... so aren't the best subjects for photography at the moment but hopefully you can see their health and quality in the somewhat blurry images we have taken of them so far! We will endeavour to get better pictures over time and post them here. 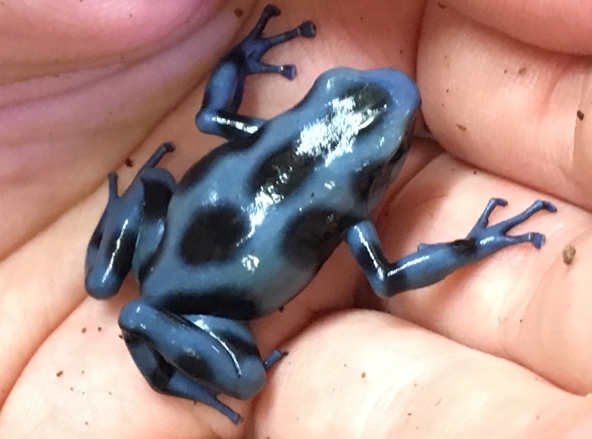 We hope to acquire some more interesting species of dart frog and mantella over the coming months - keep checking back for updates!